Introducing the perfect addition to your bedroom with this gorgeous single door wardrobe. This stunning wardrobe comes with a full length bevelled mirror door and provides valuable storage space in a French boudoir environment. 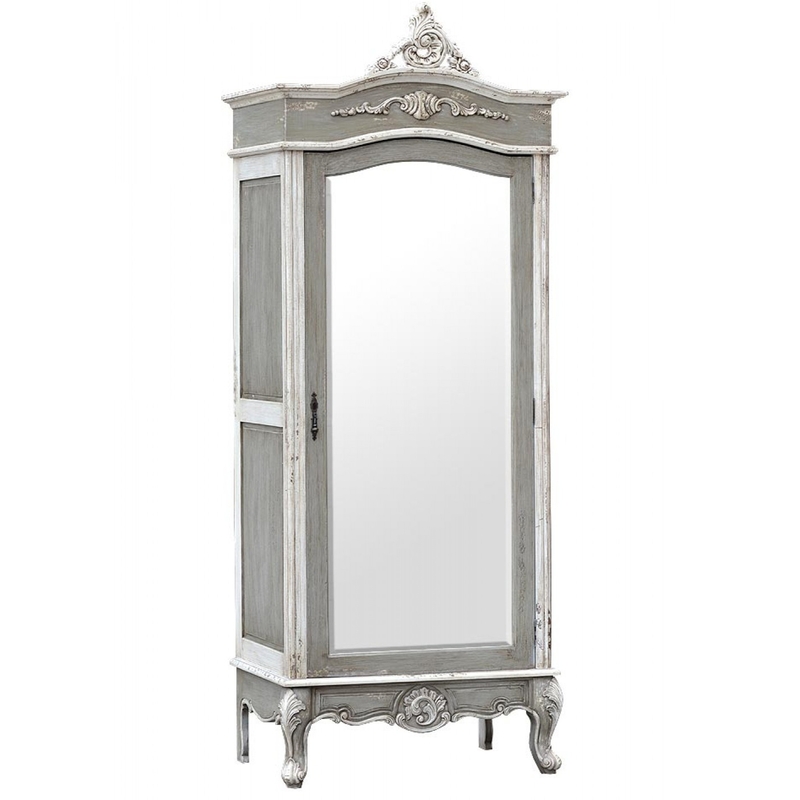 With its soft , feminine curves , pretty pastel shades and exquisite distressed finish , this is a perfect item if you are looking for that shabby chic look.